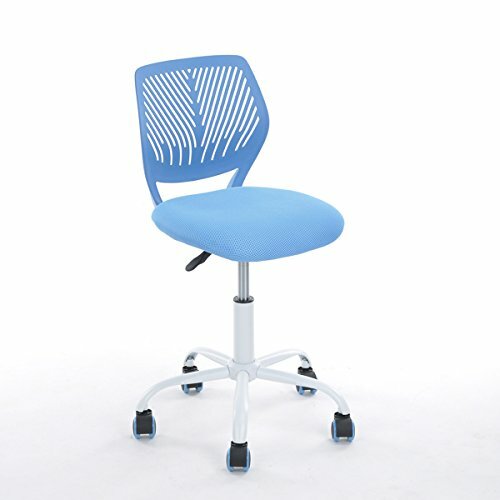 This Blue Office Task Adjustable Desk Chair Mid Back Home Children Study Chair is a great addition to your home office. Comes with Mesh Back for comfort with 5 caster wheels. Features 360 degree Swivel chair for easy maneuvering with adjustable height. Measures 33.5 inches high x 16 inches wide x 18 inches deep.